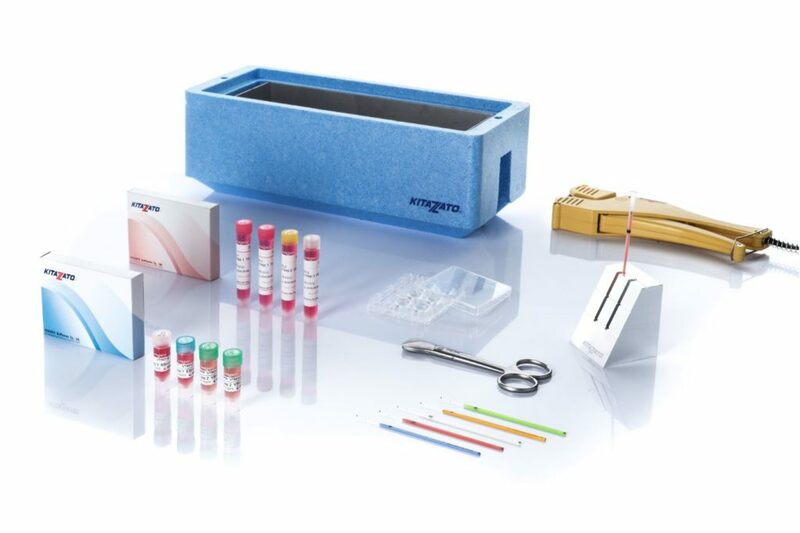 Pre-clinical validation of a closed surface system (Cryotop®SC) for the vitrification of oocytes and embryos in the mouse model. A recent study conducted by PhD embryologist Damià Castelló, IVI-RMA and Embryotools confirms what we already knew: the Cryotop® SC is the most efficient closed system for vitrification in the market. Kitazato managed to save the problem of thermal isolation of samples in closed systems; a problem that negatively affected the cooling rate and by extension, the survival rates, since it favored the creation of ice crystals. Thanks to an optimized design of the well-known Cryotop®, and also thanks to the particular benefits of Kitazato’s Vitrification Method, the Cryotop®SC offers outstanding cooling and warming rates, obtaining almost the same survival results as our open system.